Since getting my new phone I've been listening to podcasts. Podcasts are not anything new, but there seems to be a resurgence going on. They're the new "it" thing. My husband is always playing a podcast and when we take road trips, they're a must. It's pretty amazing how many there are. There's something for everyones listening pleasure. really. I tend to lean more toward the design, lifestyle, inspiring shows. If you haven't already, check out the iTunes store or Google Play and see what you might be interested in listening to. 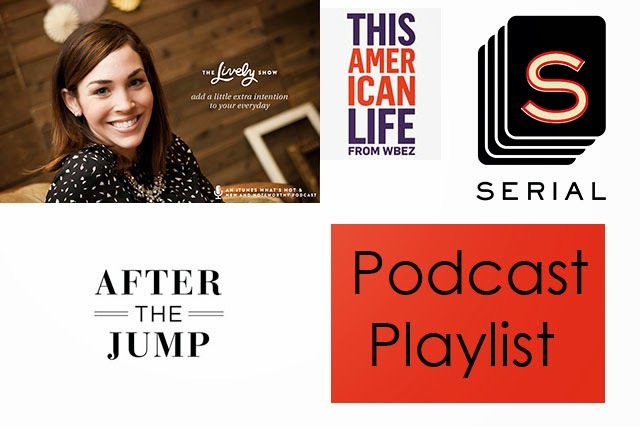 Do you have a favorite podcast that you subscribe to? Please share.